My name is Julie Ball MAR, I have been a qualified Reflexologist for over 10 years. 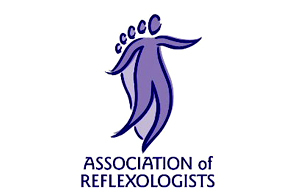 I am a Full member of the Association of Reflexologists (AoR website link below) I specialize in Hot Stone Reflexology, Maternity, Infertility, Stress relief and Migraines. Some of my clients have been coming to me for regular Reflexology treatments since I first started practicing to maintain their health and well-being. My treatment room is at my home in Ashford, Kent. I can also treat you in your own home (if local with additional charge for travelling) or for a group in an office. Please see my contact information via the Contact page. Introductory Offer - New customers 20% off first treatment at quieter times for a limited period.